Before you panic, there is no need to dust off those trainers or sweatbands. For this jog, you’re going to stay there in that comfy chair maybe even with a tea and a biscuit, actually…I encourage you to go and get a cuppa before we go Jogging. Now that is my idea of Jogging!! A couple of days ago, @web20classroom Re-tweeted a site posted by @hrheingold and it caught my attention immediately. The tweet was entitled ‘A list of more than 100 interactive presentation media’. That sounds rather grand, but it just showcases some websites and software that enables you (or the children) to present information in different ways. Some were well known, sites like Voicethread, Bubbl.us and Embedit.in I know about and have played with a little. Others like Prezi have been covered by people like @primarypete_ on his blog, so I won’t share that with you today. However one site that caught my eye was Jog the Web. This allows you to create a guided tour of the internet. Now that sounds quite complicated, but basically all you need to do is sign-up to an account and create a Jog. Once you have made your Jog, you simply add websites to it. You give them a title, paste in the URl and write some text. This text could be instructions for children to follow or it could be a description of the site. You can re-arrange the order if you want to. I’ve used it below to share a few sites I like and to have a play with how it works, but how could we use it in school? Once you’ve been for your Jog, come back and leave a comment about how you could use it in your school. PS: The last page of the Jog is a comment box, you can comment there, but it would be better if you commented here on this blog instead. Wow! 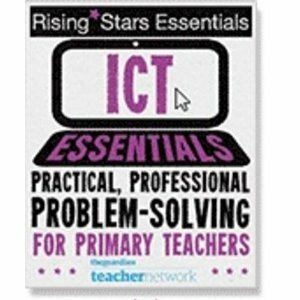 Thanks for sharing this site, love the idea of using for CPD, I am going to use it to put all the links from my latest staff ICT newsletter, hopefully to encourage staff to visit all the sites I have mentioned. Will also be great to use with the children all topic links in one place.